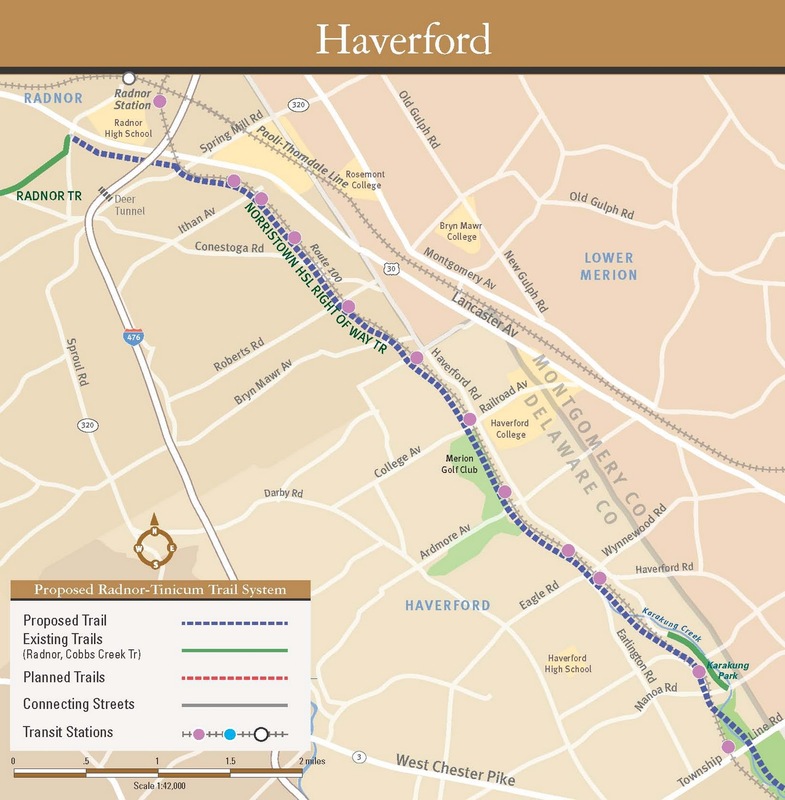 This weekend is a great opportunity to see the potential for extending the very popular Radnor Trail. 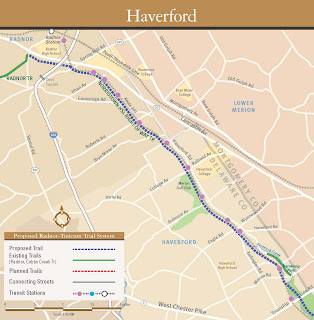 Join us on an exploratory walk from Radnor to Villanova led by architect and trail designer Bob Thomas, as we see the various possibilities for the trail, which would become part of the proposed Valley Forge to Heinz Refuge Trail. This walk will cover a small area that could become part of a trail that is being conceived as linking together Valley Forge to the Heinz Refuge via the Radnor Trail and the Cobbs Creek Trail. Come to learn about this conceptual trail alignment. (members of: Philadelphia Parks Alliance, Sierra Club, Pa. Environmental Council, Bicycle Coalition for Greater Philadelphia, Green Space Alliance, American Institute of Architects, American Society of Landscape Architects, Appalachian Trail Conservancy, Hostelling International, Preservation Alliance, East Coast Greenway, REI, University City Historical Society, Women’s Transportation Seminar, or the Schuylkill River Greenway Association). Meet: 11:15 am at the SEPTA Radnor Regional Rail Station (you may take the train from Philadelphia which arrives at this time). Rain: If raining or threatening, tour will be cancelled and rescheduled unless otherwise noted.